The Apple Watch Series 4 nabbed lots of headlines in 2018 thanks to its electrocardiogram (ECG) feature. Now, Withings is looking to follow suit by adding ECG capabilities to two new products at CES 2019. The first is an analogue wristwatch – the aptly named Move ECG. 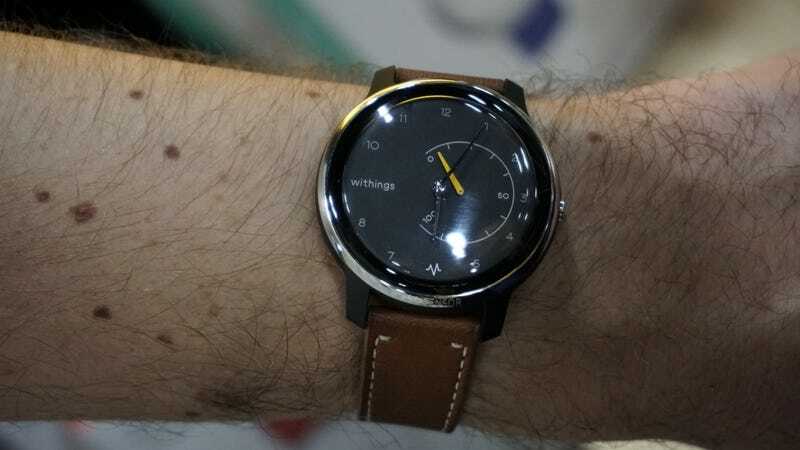 It looks similar to the type of analogue-hybrid smartwatches that have always been Withings’s trademark. The difference is, in addition to regular activity and sleep tracking, the Move ECG has three electrodes – two inside the device, and the third is located in the watch’s stainless steel bezel. To take a reading, you simply place a finger on the bezel for about 20-30 seconds. When I saw the demo at CES Unveiled, a Withings spokesperson told me the device operates similarly to the Apple Watch Series 4. By placing your finger on the bezel, you’re essentially creating a circuit which is then used to measure your heart rhythms and detect for atrial fibrillation. You can then view your ECG trends over time through Withings’s Health Mate app and share that data with your doctor. There are a few differences, however. Unlike the Series 4, the Move ECG doesn’t have FDA clearance just yet. Withing says the process is ongoing, and that it’s seeking the same medical device classification as the Series 4. But the biggest difference with the Apple Watch actually comes down to battery life. As an analogue hybrid, the Move ECG is powered by a replaceable coin-cell battery with an estimated battery life of 12 months. Granted, Withings told me that’s if you only take up to two, 20-second ECG readings per day. There’s a bit of a trade-off when you compare it to the Apple Watch, however. While the Move ECG definitely wins out in battery life, it doesn’t actually come with an optical heart rate monitor. The Series 4 tracks your heart rate throughout the day to get the most accurate results, but the Move ECG would be more of a spot-check mechanism without greater heart-rate context. Still, at $130, it’s a much more affordable alternative to the £400 GPS-only Series 4. Withings has also added ECG capabilities to its newest connected blood pressure cuff, the BPM Core. 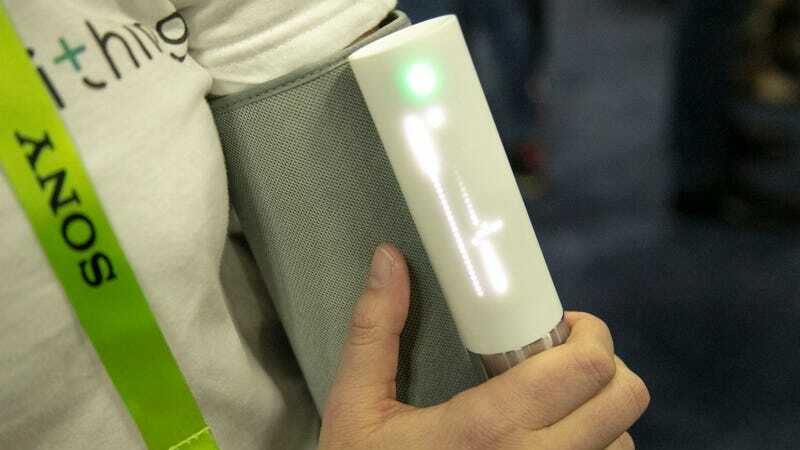 It looks like your average cuff, but adds two electrodes inside the cuff as well as a digital stethoscope. The device itself is easy to use – you basically push a button and in about 90 seconds you get your blood pressure, an ECG reading, and a valvular health reading via the stethoscope. For blood pressure, the LED display will either light up green, orange, or red to indicate normal, moderate, or high blood pressure. But the really nifty bit is that you can consolidate such a wide variety of heart-related data to a singular app. In particular, the digital stethoscope feature was impressive during a demo. Once the data syncs to the Health Mate app, you can actually listen to a 20-second clip of your heartbeat. Like the Move ECG, the BPM Core is still in the process of FDA clearance in the US and is expected to retail for $250 ( £195). Both devices, along with a more basic activity tracker, the Withings Move, will be available sometime in the second quarter of 2019.